This week we're filling the floors of the Los Angeles Convention Center with products and furniture from our favorite designers, manufacturers, and companies for Dwell on Design. Come check out our favorite sofas, chairs, pillows, planters, and more—including these brand-new products debuting at the show. Poggenpohl will debut its new Artesio kitchen at Dwell on Design. Miele's new Futura dishwasher makes its debut at the show. 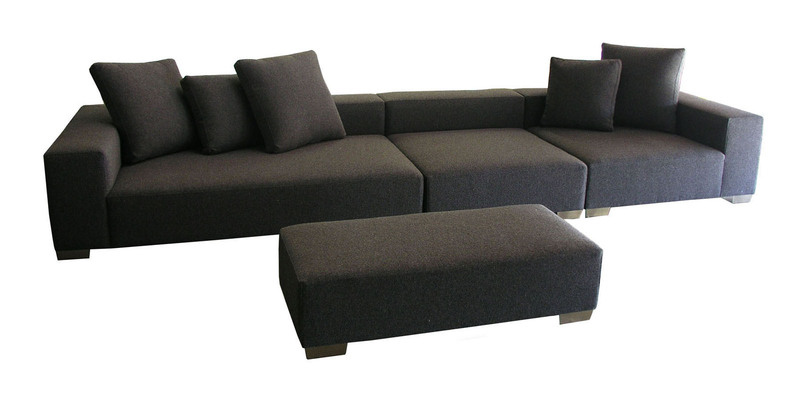 Rest your feet with a sit on Hold It Contemporary Home's new Lola Sectional sofa. David Stine of Stine Woodworking with be showing his Silver Maple II Coffee Table for the first time at the show. Toto's new, low-flow Silas faucet utilizes just 1.5 gallons of water per minute—half a gallon less than most bathroom faucets. Now you see it, now you don't. 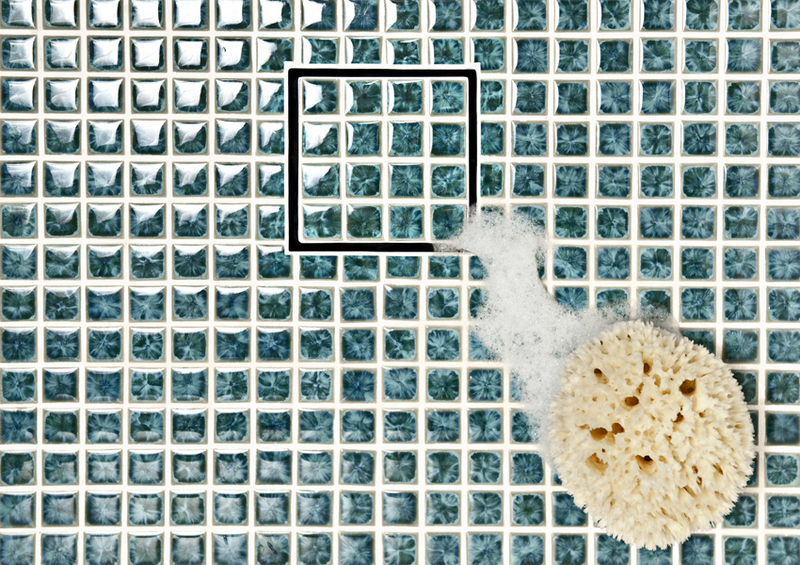 Infinity Drain's new TileDrain is designed to disappear into your tile work. 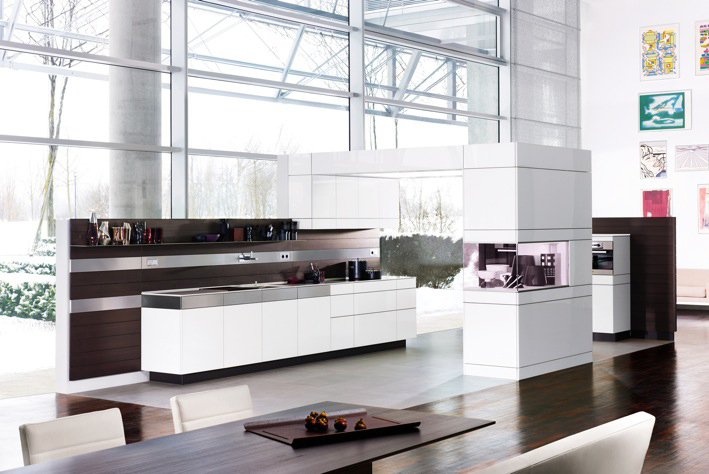 German kitchen manufacturer Poggenpohl will introduce its new +Artesio kitchen to the American market. The kitchen was designed by German architect Hadi Teherani, whose firm Hadi Tehrani AG designs everything from office chairs and overhead lighting to carpets and bikes. The goal of the +Artesio kitchen is to provide a comprehensive collection that includes furniture, wall, floor, ceiling, ventilation, lighting, and sound designs. If you haven't been dishwasher shopping in a while, you may be surprised by the features the machines now boast. 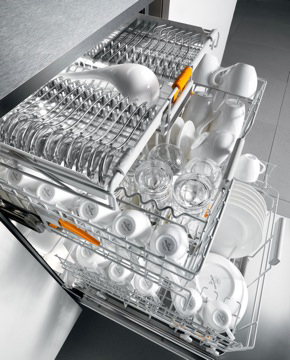 Miele's new Futura dishwasher includes a cutlery tray at the top of the interior (where silverware can be laid flat and where it can best be cleaned) as well as the FlexiCare basket design so you can make space for load each wash as you need it. The new Futura washer also uses 35-percent less water than older models. Check out this video for a full peek inside. Hold It Contemporary Home is a Southern California-based company that represents more than 100 modern furniture and design brands. This year at Dwell on Design, the company will bring its new, modular Lola Sectional. The five-piece sofa features a hardwood frame and three-inch Italian webbing and is available in a range of fabrics. The company's design consultants will be on hand to help you make the best decisions for your home. David Stine of Stine Woodworking will be showing two new pieces at the show. Stine lives in rural Illinois on a 40-acre farm near his family's forests, where he sustainably harvests all of his lumber. He uses the raw materials to design and build tables and other pieces that showcase the natural grains and shapes of the woods. He's bringing his new Wrench Bench and Silver Maple II Coffee Table to the showfloor. The Wrench Bench features a board of ebonized white oak with legs made of reclaimed refinery wrenches from the 1950s. 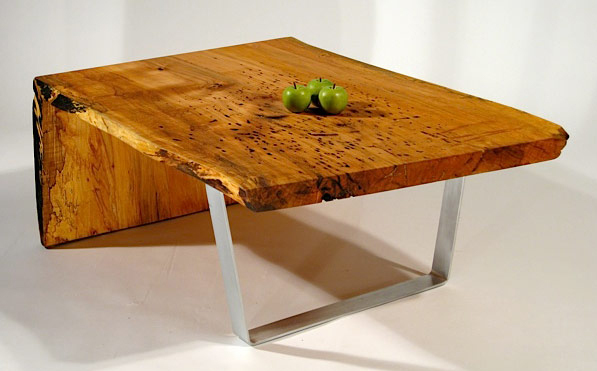 The Silver Maple II Coffee Table is made of a single slab of spalted, curly, wormy Silver Maple with a front leg made of hand-bent, polished aluminum. Though Japanese company Toto is best known for its low-flow and double-flush toilets, this year it's debuting a new bathroom faucet at Dwell on Design. 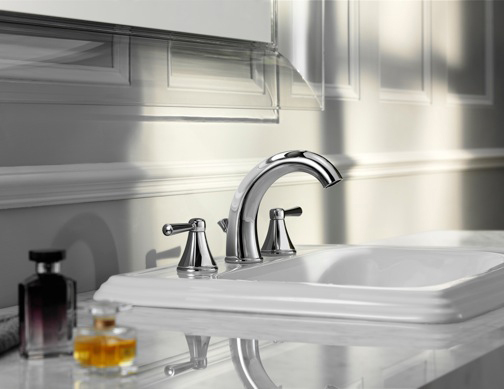 The Silas faucet is a high-efficiency design with a flow rate of just 1.5 gallons per minute. It's also meant to be a universal design: the lever handles "facilitate ease of use across the age continuum without calling undue attention to this feature that promotes aging in place with grace and beauty," the company says. Infinity Drain produces low-profile, architectural draining solutions, most often long linear drains for shower stalls, pool surrounds, driveways, and other areas requiring drainage. At the show, the company will be showing off its new TileDrain, which aims to make your central drain disappear into the tile work. View our complete list of Dwell on Design exhibitors and join us at the show June 24-26 at the Los Angeles Convention Center.